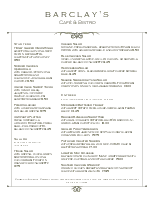 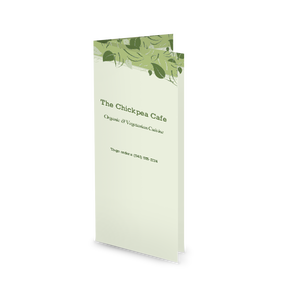 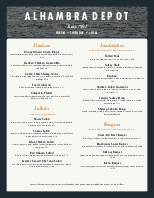 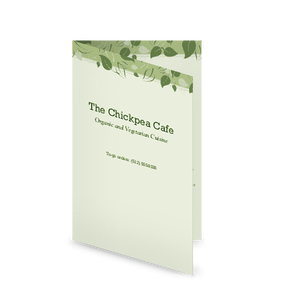 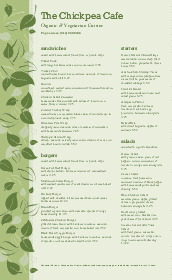 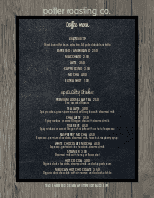 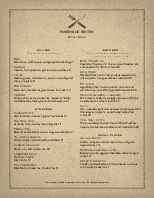 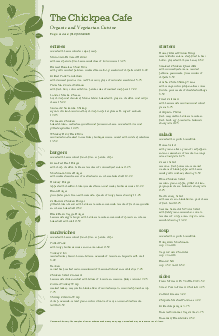 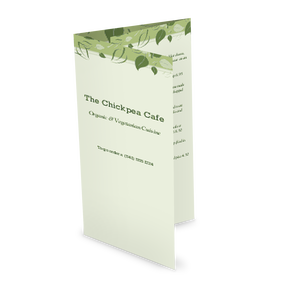 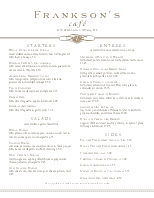 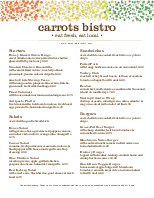 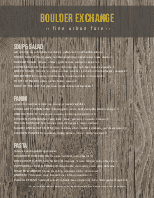 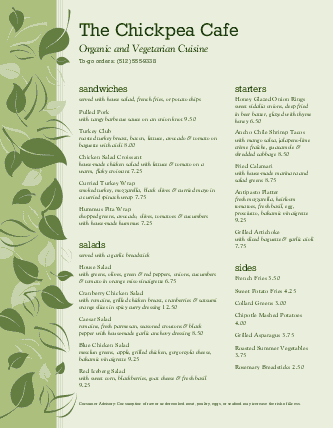 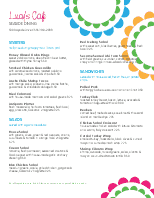 The Vegan Cafe Menu is a casual restaurant template with a wide border of fresh leafy greens. 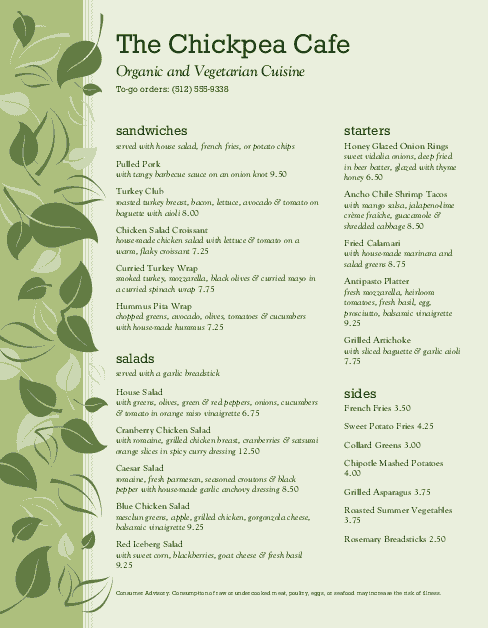 Two columns showcase vegan, vegetarian, or organic offerings at an eco-conscious eatery. 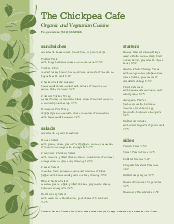 Edit your vegan menu online with the Menu Editor.